All Americans, on some level, know about The Great Gatsby. F. Scott Fitzgerald’s story of the Roaring Twenties has become a part of modern America’s subconscious. 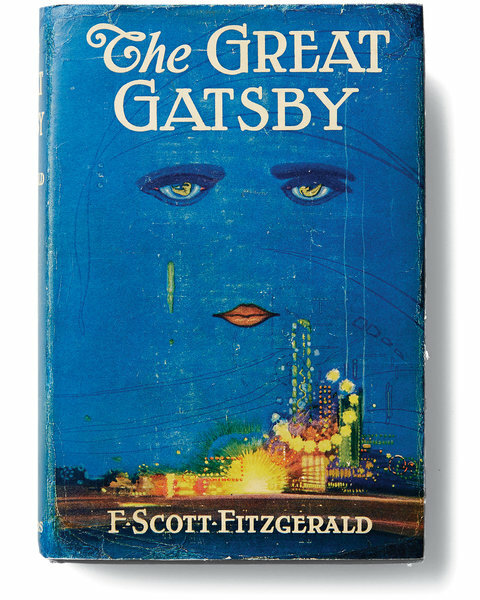 And with Baz Luhrmann’s upcoming film rendition of this literary classic, I think ‘Gatsby’ will become a conscious household name again for this generation. Check out my mook review (movie + book = mook) on my friend Alyssa’s blog, mookology., where I review F. Scott Fitzgerald’s 1925 novel and director Jack Clayton’s 1974 film adaptation of it. The review went live yesterday. I somehow have found myself obsessed with this story, despite not finding it particularly amazing. I mean, I really do love The Great Gatsby, and give it five stars (a very rare thing for me to do these days), but it’s not my number one novel. I think I’m more inspired by the high culture and novelties surrounding this story. I say high culture because F. Scott Fitzgerald, a graduate of Princeton University, frequently contributed writing to magazines/periodicals, including The New Yorker, Esquire, and The Saturday Evening Post. He was a “Lost Generation” author, the academic world and the upper echelons of literary society take his novels seriously, and he is lauded as one of the greatest American writers of all time. I say novelties because via the internet, I have come across some very interesting Gatsby themed things (see links below). 1. I really love Out of Print Clothing, and love that they have so many Gatsby themed products featuring that iconic blue cover art. It’s my favorite cover art, period (though, Ernest Hemingway, a good friend of F. Scott Fitzgerald’s, hated the cover art when he saw it pre-publication). A few months ago I bought a Gatsby t-shirt. You know that’s what I’ll be wearing when I go see the new movie in theaters next month, like a true literary geek. 2. My friend showed me this Gatsby rap tribute called “Daisy’s Lullaby” a couple of years ago, and I can’t tell you how many times I’ve watched it since then. It’s both silly and serious, and has terrific lyrics. Be warned that it will get stuck in your head. Even after not watching for a long time, I still find it gets stuck in mine. 3. I don’t even know how I came across this one, but who would have thought that an actual Gatsby game exists? Paying tribute to both old Nintendo (NES) games and The Great Gatsby, this online game is adorable and features gold-hat power-ups, drunk flapper enemies doing the Charleston, and annoyingly cute NES inspired music that will also get stuck in your head. Click the “Good Job, Old Sport!” picture above to get to the game. What do you think about the culture surrounding The Great Gatsby? And have you come across any interesting Gatsby novelties you’d like to share? I loved the video of the rap. I posted it to my facebook! I think I need to read the book again. It has been way too long.